‘Jack-Knifed’ is the first novel featuring DCI Martin Phelps and his team, based in the world-famous and vibrant Cardiff Bay. Mark Wilson, a decent, well-liked gay man, lives alone in a beautiful house in Cardiff. One Saturday evening, his closest friends go to his house for an evening of drinks and catching-up. Finding no answer, the concerned friends break in – to a horrific murder scene. For Mark Wilson has been brutally, sadistically murdered in his own home. Meanwhile, Mark’s estranged sister Amy broods on the hatred she has for her brother, blaming him for turning their father into a killer. As she sinks further in to the depths of drug addiction, who’s to say what her next move will be? The first novel in this series, Jack-Knifed, saw the introduction of Detective Chief Inspector Martin Phelps, together with his sidekick, Detective Sergeant Matt Pryor, and their team, investigating the horrendous murder of a gay man in Cardiff. Now they are faced with a body found in Coopers Field, a Cardiff beauty spot – a naked body that has lain there so long it is almost unidentifiable. Pathology reports establish that the body is that of a woman – but who is she, and how did she die? Local nurse Sarah Thomas, a helpful passer-by when the body is found, soon finds that she has another unexpected death to deal with – at Parkland Nursing Home where she works. Colin James, one of her favourite residents at the home, dies suddenly – but the reactions of those closest to him are surprising. Was Colin’s death due to natural causes – or is there something more sinister afoot at Parkland? 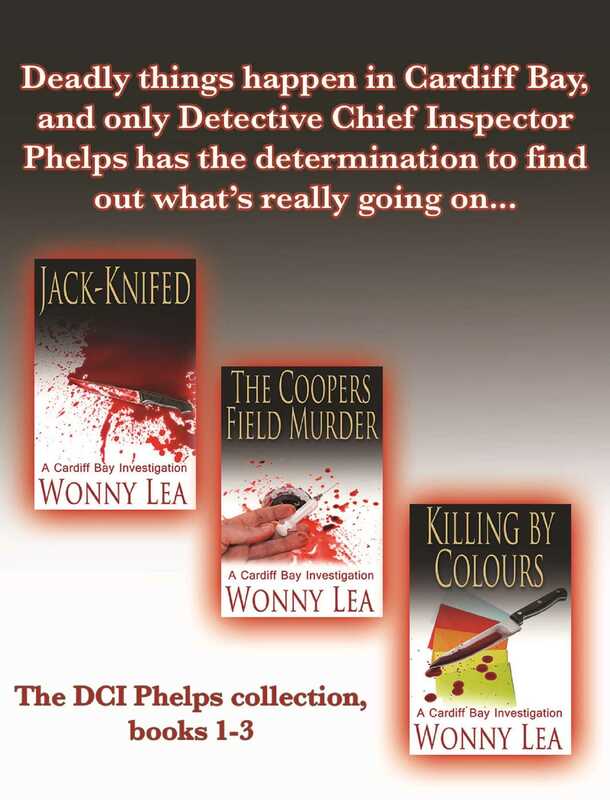 The Coopers Field Murder is the second in Wonny Lea’s DCI Martin Phelps series, set in the thriving Welsh capital city of Cardiff.